Adjusting the intensity of the primary colors rendered in an image is a major tool for improving its looks. Correcting the amount of red, green and blue can dramatically change a photo, making it darker or more filled with light, while highlighting certain elements from it. So here is why professional photographers often use color balance to edit digital images. But this does not mean the process should be very difficult or reserved entirely to pros. 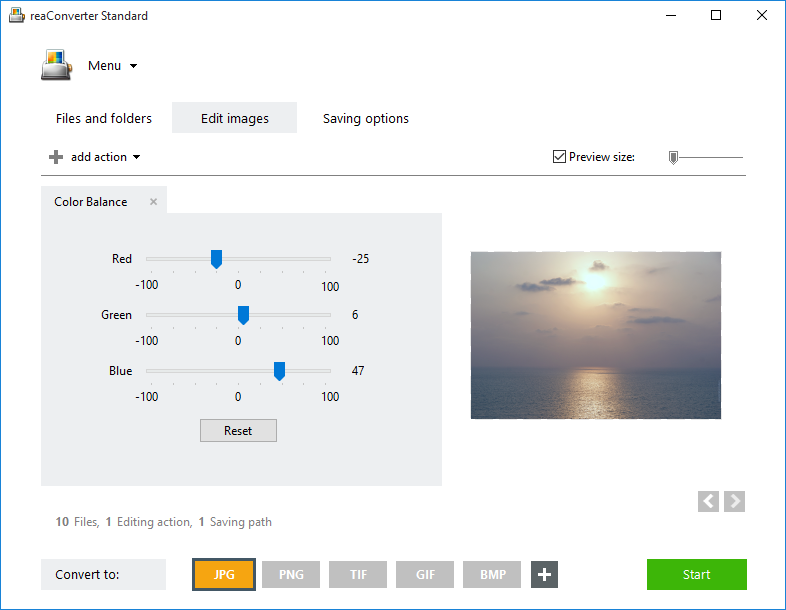 On the contrary: correcting the color balance in one image or in a group of them can take no more than a few seconds (even if you're a complete amateur or a non-techie) when you use a simple and powerful image editing program such as reaConverter. Open one or more images that need color adjustments. 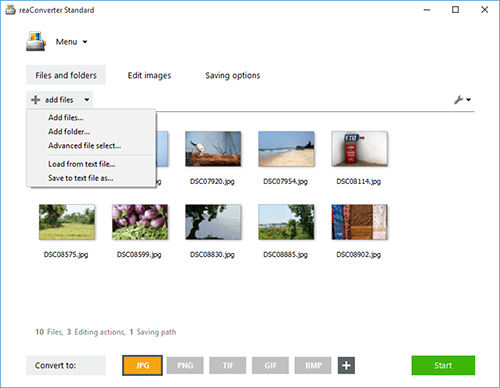 You can easily drag-and-drop them into the reaConverter window, pick them one by one from your hard drive or add an entire folder. Go to the Edit images tab, click on Add action, and then on Color Adjustments and Color Balance. Now you can customize the amount of red, green and blue in the image in any way you like. The result can be easily seen on the right part of the window in real time, if you check the Preview button. 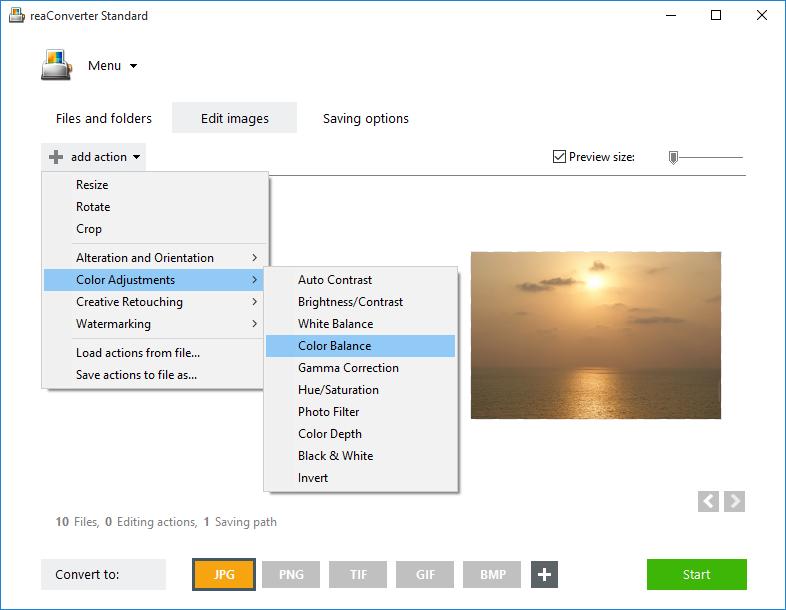 Review the Saving options you have and decide on the location of your corrected images. reaConverter allows you to save your files locally, in the source folder or in a new one, or online, directly into you Google Drive or Box.com account. Before completing the operation, decide if you want to preserve or change the format of your images. You can easily convert to a new extension by simply clicking one of the buttons accessibly placed in the lower part of the window. After this is done, press Start and your new images will be available in a few seconds.